1. Tea for all children up to the age of 6 years. 2. Distribution of mugs and sweets to children. 3. A programme of children’s sports and country dancing. 4. The provision of sideshows to entertain everyone. 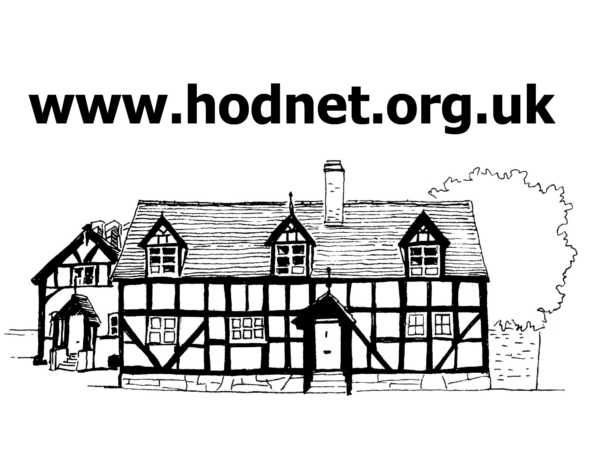 Children to assemble at Hodnet School at 2-45 p.m., to parade to Cricket Ground. 6. Adult events – Over Fifty’s Race. Mr. R. Major, Hodnet Post Office. Teas and refreshments will be on sale on the ground. 7. Open Air Dancing (Old Tyme and Modern) on the Cricket Ground, weather permitting, from 8 p.m. until 9-30, followed by a Dance in the Lyon Hall until midnight. Buses will be available to transport Parishioners from outlying districts to the celebrations. 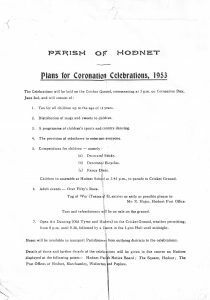 Details of these and further details of the celebrations will be given in due course on Notices displayed at the following points:- Hodnet Parish Notice Board; The Square, Hodnet; The Post Offices at Hodnet, Marchamley, Wollerton and Peplow. Click image below for a scan of the above programme.